Hello, hello my readers, TGIF! Before I begin, I’m thinking this would have been a great 4th of July outfit but I hadn’t started my blog yet, so it’s happening now. Let me begin with that I was feeling like a total diva in this outfit, mainly due to the earrings, headband, and sunglasses. It’s amazing how accessories can either make or break your look but these definitely made mine! This look is by far one of my favorites, I felt so good in it and I love wearing bandanas in my hair, it just makes any look that much better. Who doesn’t love a cute bow or knot in their hair. My t-shirt I got for FREE from American Eagle, I love free goodies. It was a while ago, probably around the 4th of July, it was one of those spend $50 and get a free t-shirt sales stores do from time to time. I remember me and my sister put our shopping items together so that we could get the shirt. It is so soft and comfortable and I tied a little knot on the side and tucked it in so it wasn’t so long. My jeans are from Express of course, again, so comfortable and stylish, my favorite! They are currently on sale plus an extra 40% off!! You see why I love Express so much? This is the perfect street style outfit, which explains why I chose to shoot in the heart of downtown Tampa. I’ve had these earring for so long and just now wore them, I tend to buy things and while waiting for the perfect moment to wear them, I never wear them. I gotta stop doing that. But now that I have this corner of the web, I’m bringing out all the things I haven’t been able to wear. Back to the earrings, the flower detail is so cute, and they match my favorite sunglasses so nicely. My bandana I got for $2 people, $2 at Burlington, it’s unique because the back end of it is built like a necklace, meaning it is a neckerchief too! I love finding such great deals like this, they leave me speechless. For this stroll downtown, I chose these low block heels because they are truly so comfortable for walking if you decide you want to wear heels. Not to mention they have been marked down even more, on sale now for only $24! Paired my flower embroidered Kate Spade purse cross-body to match my earrings too, and my absolute favorite Fossil watch ever! My fiancée gifted it to me in our first year of dating, and I think it’s so unique, and I’ve never ever seen it on anyone else. Keep scrolling to shop my look! 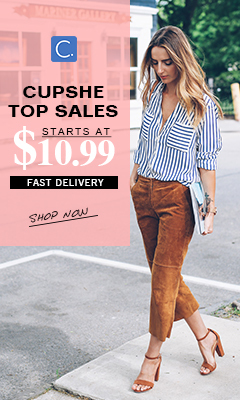 I’ve paired great dupes due to my shirt being free, and some of my other pieces being no longer in stock, but they are still great looks for less, and super cute! I’d never point you in the wrong direction. What’s your favorite denim brand at the moment? What makes you feel like a total diva? What’s your stroll down the town look? I love that green patent leather skirt that pops up at the bottom of your post! Great post.